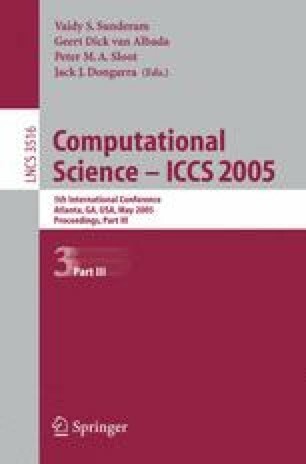 This paper describes a Service-bAsed Grid project for Engineering computation, named SAGE. Based on the Globus toolkit, a grid-service-based architecture oriented to engineering computation is presented. To give grid users good usability, task definition and resource discovery are visually conducted. Whilst, a Quality of Service (QoS) driven user-centric scheduling strategy is proposed, two scheduling methods and steering-enabled visual interfaces are applied for different types of grid users. Result processing can be visualized in the aid of a PC-cluster and a stereopticon. The practices suggest that these mechanisms improve the convenience and QoS. A Project Supported by Scientific Research Fund of Hunan Provincial Education Department, China (Grant No. 04A037).